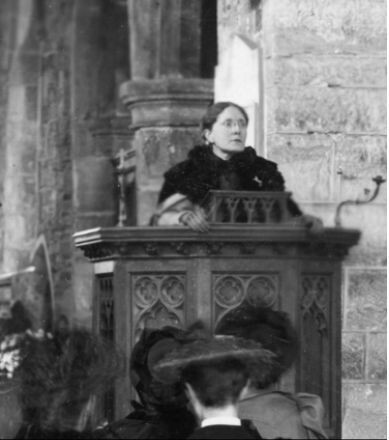 In 1879, when Frances Willard was elected President of the WCTU, she continued to push for girls to get an education. She immediately published newsletters for children, Annual Leaflets were produced aimed at young women, and she publish books, such as Occupations for Women (1897), which listed a wide variety of careers women could pursue after college. Willard used her experience as a teacher to educate WCTU members as to how all of these issues are connected, and why women fighting against temperance should care about suffrage and educating their children. Willard’s concerns about education for women are still relevant— there are many issues today concerning the impact gender has on education. From elementary school through college, women face challenges due to their gender that affects the way they learn, interact, and excel in school and has a huge impact on girls quality of education, and if they chose to continue it in college or graduate school. Guest blog by Sarah O’Brien, a graduating senior at DePaul University studying History of Art and Architecture with a minor in Museum Studies. Frances E. Willard, How to Win: A Book for Girls (New York: Funk and Wagnalls, 1888, 188), 27-28. Frances E. Willard, Glimpses of Fifty Years, 1839-1889 (Chicago: H.J. Smith & Co., 1889), 114. Sadker, Myra, and David Sadker. “Sexism in the Classroom: From Grade School to Graduate School.” The Phi Delta Kappan 67, no. 7 (1986): 512-15.